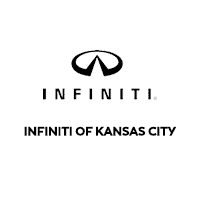 At INFINITI of Kansas City, we do not just sell luxury cars; we provide a luxury experience. From the moment you pull up to our showroom in Merriam, KS, until you drive home in a new or pre-owned vehicle you love, our dedication is to make every second of your time with us count. That means having well-informed sales professionals who can answer your questions about a specific model on the spot. It means streamlining the lease or loan application process at our financing center, so we can get you approved and on your way faster. It means valuing your time by not playing games over prices. Our services go well beyond the borders of Merriam, KS, encompassing drivers in Kansas City, and Overland Park, KS. Continue reading if you would like to know more about the new and pre-owned models we sell or the other services our dealership offers. Alternatively, if you are ready to find your luxury car or SUV today, please contact us or visit INFINITI of Kansas City in Merriam, KS.